Welcome back boys and girls to the sporadically, semi-quarterly, possibly to be bi-monthly, third issue of “For the Kids!” I’ve got six titles that you should be able to enjoy with your kids. I’ve tried to include some titles that feature mainstream heroes from Marvel and DC. If you missed the previous entries you can read the first one here, and the second one here. 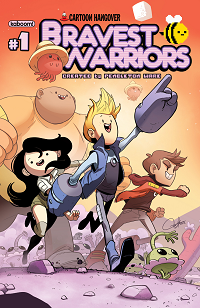 Bravest Warriors comes at us from Adventure Time creator Pendleton Ward. It contains the same wackiness and humor that are found in the popular Adventure Time TV series. The difference is that this series follows a group of young teens across the galaxy as they help out different alien species with their problems. There is a solid friendship between the crew, and reminds kids to help out their friends and others when they are in need. It’s fun charming and can be downright hilarious at times. I’m attaching one of my favorite scenes at the bottom of this post, so check it out. 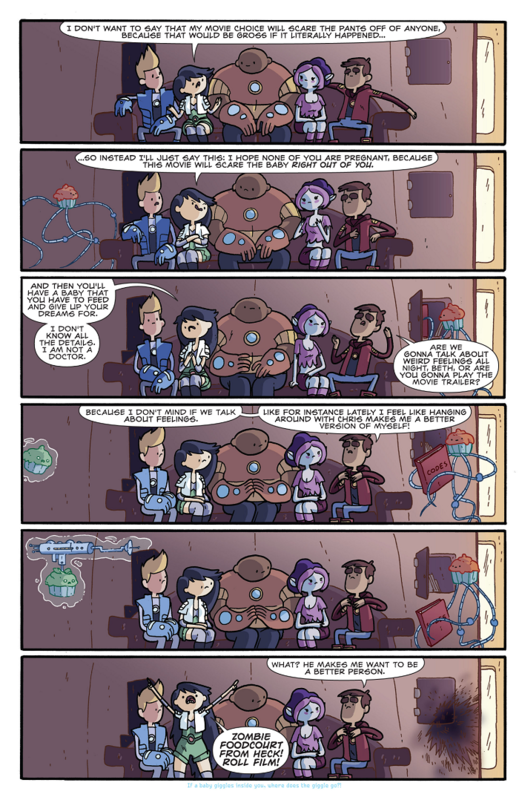 You can also view short web-sodes of Bravest Warriors over at their YouTube page. Tyler’s stuffed polar bear can turn into a Super-Powered polar bear that fights crime. 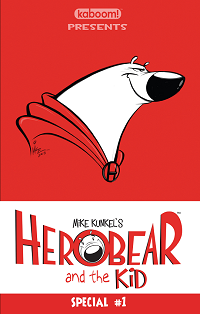 As his alter-ego, The Kid, he joins Herobear on adventures and battling evil-doers. This series captures a lot of the nostalgia and fun of Calvin & Hobbes, but is something entirely unique and precious on its own. The original series of Herobear and the Kid will be re-released this fall, so there will be a lot more content readily available. Last month I reviewed the newest special, so check that out for a more in depth look. Nova has been a pretty fun ride so far. It is a superhero comic in the main Marvel Universe, but so far there hasn’t been anything, besides some space ship destruction and alien beat ups, that would be inappropriate for children. This series is very heavy on the fun. 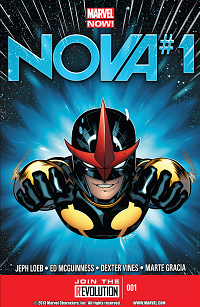 Nova is definitely one that you could give to your older kids, and they wouldn’t feel like they were reading something meant for kids. The main protagonist Sam, is a teenage dealing with teenage problems, so they should be able to relate with him. You could call this an all-ages comic, but Johnny Boo is definitely something I would read with younger children or children just learning how to read. 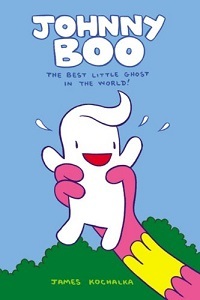 Johnny is a ghost, and this book definitely channels the spirit of Casper. From what I have read, Johnny Boo featured little to no violence and contained some sort of lesson to be learned. It is simple fun, and easy for young kids to read. I mean, the first story contains an Ice-Cream Monster, so that should give you an idea that this is something for the young ones. 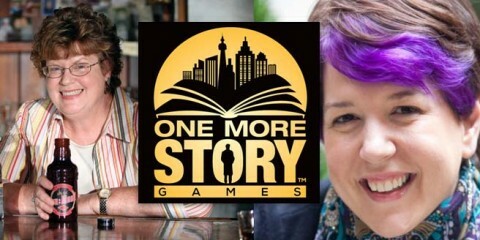 As of this writing there is a sale on Top Shelf comics on Comixology. Grab it while it’s cheap! This is a series I should have put on the list the first go around. I have no idea why I ever left it off. This is very much an all ages Batman comic, so you can rest easy if your kids get a hold of it. 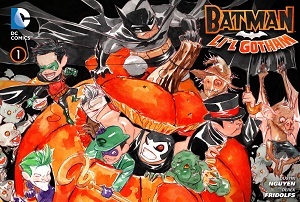 Each story revolves around a holiday, and usually involves Bruce teaching Damian about the meaning of each holiday, while they round up a mischievous villain or two. It’s not as campy as the old 1960s Batman TV show, but it captures that vibe of a fun Batman story. Damian is central to the story, so kids should be able to relate to him. 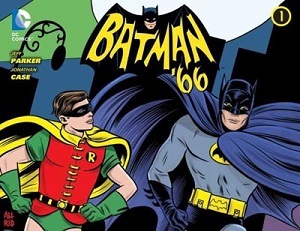 Speaking of old Batman TV shows, DC has recently released Batman 66. It perfectly encapsulates all the camp and silly jokes from the old TV show. As with everything else here, it is kid friendly, and it’s something more “mainstream” as well. It will be coming out in print, but if you read it digitally you get the added bonus of panels and word bubbles appearing and disappearing. It’s similar to a motion comic, but each scene will change with the swipe of the screen. If you have a young child that is a very tactile learner, then let them mess around with this on a tablet. That’s it for this go-round. Stay cool this summer, and stay safe! Issue #90: Radio Theatre Presents…Captain Marvel!